Consortium Luxembourg is pleased to announce that it is offering now access to Academic Search Complete and Business Source Complete, the upgraded versions of Academic Search Premier and Business Source Premier. Academic Search Complete includes more than 6,400 active full-text journal and magazines, with more than 5,700 active full-text peer-reviewed journals and covers a wide range of disciplines, from the humanities and the social sciences to the life and physical sciences. Additional to more than 2,000 active full-text journals and magazines with more than 1,200 active full-text peer-reviewed journals Business Source Complete includes also topical video content from the Associated Press, the world’s leading news agency. This collection of more than 74,000 videos corresponds to a large spectrum of disciplines and is monthly updated. Access is possible for all users with a library card of the National Library, University of Luxembourg, LIST or LIH. As the Consortium Luxembourg is confronted with a difficult budgetary situation and some vendors were unwilling to lower their prices, it was decided to discontinue some subscriptions that show very low usage. Thank you for your understanding in this matter and we apologise for any inconvenience this may cause. If you have strong concerns about the databases included in this list, please send a mail to help@findit.lu. Please be aware that Thesaurus Linguae Graecae (TLG) has a new website. Click “Full Corpus (Subscription required)” in the top menu to access the database. If you wish to access the TLG, you must create a user profile. It is for free, but you must have an account and log in to use the full resources. Click on “Register” in the top-right corner to create a user account. Thesaurus Linguae Graecae contains virtually all ancient Greek texts surviving from the period between Homer (8th century B.C.) and A.D. 600, plus historiographical, lexicographic, and scholiastic texts from the period between 600 and 1453. The canon amounts to approximately 80 million words of text. A polytonic Greek font must be installed on your computer in order to view some work titles that appear in Greek. The new Online TLG is designed to be intuitive and easy to use. Should you require assistance, have a look at their Help-Site for User Guides and short video tutorials. 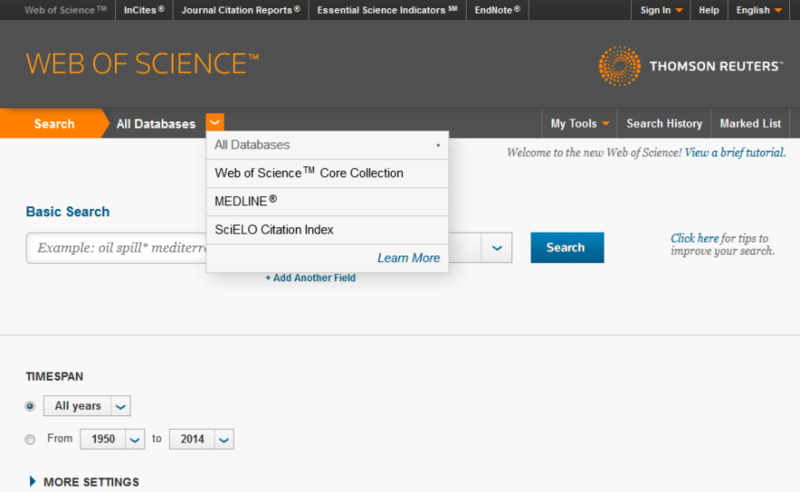 Thomson Reuters’ Essential Science Indicators™ and Journal Citation Reports® are now supported on the InCites platform. This is part of a larger initiative to provide a single environment for research and bibliometric assessment and evaluation. You may access both modules by clicking on the links in the top navigation on Web of Science. Pressdisplay, the platform for international newspapers and magazines has been relaunched and has now become PressReader. NewspaperDirect has optimized the website and app for a comfortable reading experience on mobile phones and tablets. On PressReader you may enjoy more than 3.000 newspapers and magazines from more than 100 countries in 60 languages online in full-colour, full-page format. Access includes classifieds and all supplements and all newspapers are updated daily and archived for 3 months. The digital newspapers and magazines can be accessed on a Desktop PC or Mac via a web browser or on a mobile device using the PressReader app. Get the PressReader app and download and read the latest news on your mobile device. The PressReader app allows you to download up to five newspapers and read them offline for a 7 day period. Please note that PressReader can only be accessed inside the buildings of the National Library and the University of Luxembourg! All PressReader titles can also be found in a-z.lu. PressReader for Mobile – only in University! Go to any of University of Luxembourg locations. Download the latest version of “PressReader” Mobile App from your app store. Launch PressReader, pick your title and enjoy reading! The titles can be read for 7 days. After 7 days return to University, re-authenticate and you may continue for another 7 days! Please note that the only way to download PressReader newspapers and magazines is to use the PressReader App in University of Luxembourg’s WiFi. S’inscrivant dans le cadre du nouveau projet de l’Inist « Ingénierie des Connaissances 2014-2018 », les bases de données bibliographiques Francis et Pascal cesseront d’être alimentées au 31 décembre 2014. Les archives Francis et Pascal constituées par plus de 22,5 millions de références seront par la suite ouvertes en libre accès au cours de l’année 2015. L’Inist négocie actuellement auprès de ses distributeurs (Ebsco, Ovid, ProQuest, STN), les modalités du maintien de ces archives sur les plates-formes dédiées afin d’assurer la continuité du service durant cette phase de transition, afin que celle-ci s’effectue dans les meilleures conditions. Si vous avez des questions, n’hésitez pas à envoyer un e-mail à help@findit.lu! Since 12th May the addition of new issues of “Luxemburger Wort” on PressDisplay has stopped. Unfortunately, the publisher “Saint-Paul Luxembourg” has chosen to take up their own digital channels, and will no longer be distributing their content via PressReader. Consortium Luxembourg’s access to Web of Science has been enhanced by a new searchable index: the SciELO Citation Index. You are now able to search and view critically important regional content with international impact. SciELO (Scientific Electronic Library Online) is a program of the Sao Paulo Research Foundation for the cooperative publishing of open access journals on the internet. It is supported by the National Council of Scientific and Technological Development and is a partnership with the Latin American and Caribbean Center on Health Sciences Information. SciELO content includes regional journals from Latin American and the Caribbean as well as titles from Spain, Portugal and South Africa. Continuing to expand Thomson Reuters’ content from rapidly emerging and increasingly influential regions, all Web of Science users now have access to scholarly literature in the sciences, social sciences, arts and humanities published in leading open access journals from Latin America, Portugal, Spain, the Caribbean and South Africa.